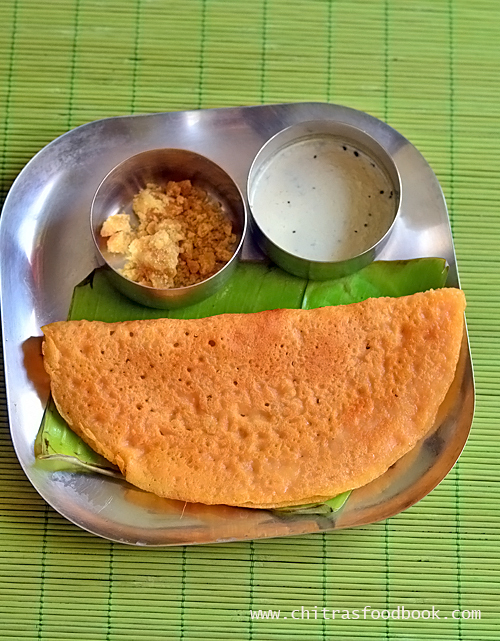 I learnt this kara dosai recipe / Toor dal dosa from my friend Shalini. She shared her mom’s recipe with me. This karam dosa looks similar to adai / mixed dal dosa but its different in ingredients and taste. Also the batter needs fermentation. So this dosa cannot be prepared instantly like adai. 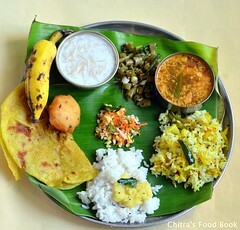 Idli rice, dosa rice / raw rice and toor dal are the base ingredients for this dosa recipe. 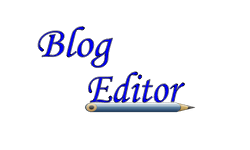 It is prepared without urad dal. You can make both super crispy dosa and thick dosa with this batter. But this dosa batter becomes sour quickly. So its better to use it within 2 days by refrigerating the batter. Ok, lets see how to make this yummy, colorful kara dosai also known as toor dal dosa with step by step pictures. 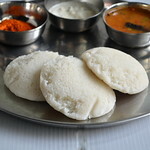 Check out my other dosa varieties too ! How to make kara dosa / toor dal dosa recipe with step by step pictures. Wash and soak rice and toor dal together for 4 hours. In a big mixie jar, grind red chilli, coconut, tamarind, salt and hing. Add rice + dal and grind in batches to a smooth batter adding enough water. Mix the batter with hands and ferment overnight or 8 hours. 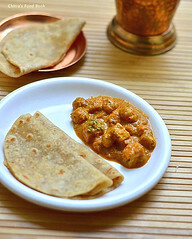 Make thin or thick dosa as you wish. 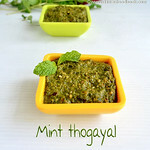 Serve with coconut chutney or jaggery ! In a wide bowl, take the rice + toor dal. Wash it twice. 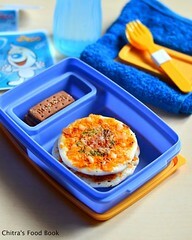 Add enough water and soak them together for 4 hours. 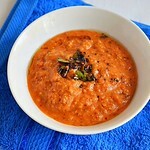 In a big sized mixie jar, take the red chilli, grated coconut, tamarind, cumin seeds, hing and salt. Grind to a coarse powder. Add soaked rice + dal and grind in batches to a smooth paste. Mix all the batter together using your hands. Keep the batter covered. Ferment overnight or 8 to 12 hours depending on the weather. The next morning mix the batter. Add little water if needed and bring to dosa batter consistency. Heat a dosa pan. Pour a ladleful of batter. 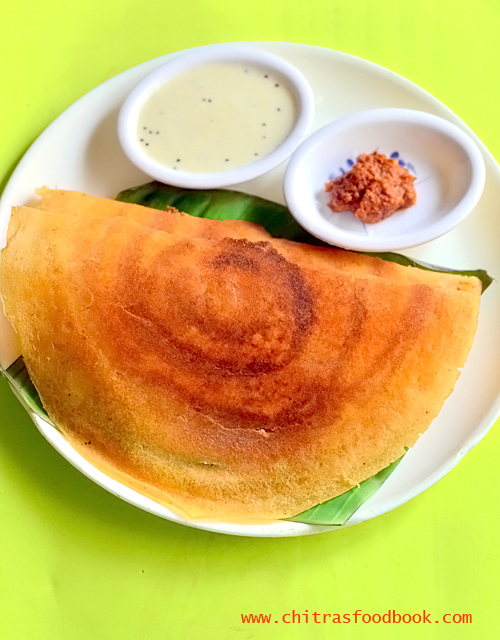 Spread the batter to thin or thick dosa as you like. Drizzle a tsp of oil around the dosa. Cook for few minutes till golden in the bottom. Flip the dosa and cook the other side too. 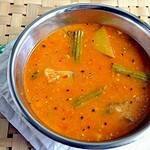 Remove the dosa and serve hot with coconut chutney. 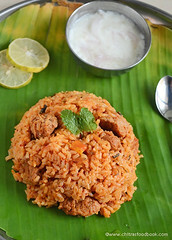 You can use either dosa rice or raw rice (Sona masoori) for lunch. 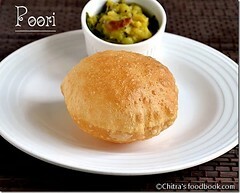 If you want you can reduce the quantity of toor dal to 3/4 cup. 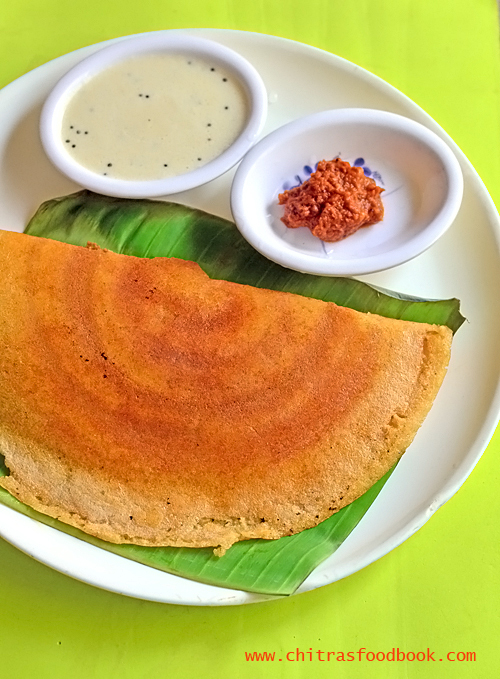 Try this yummy kara dosai and enjoy !